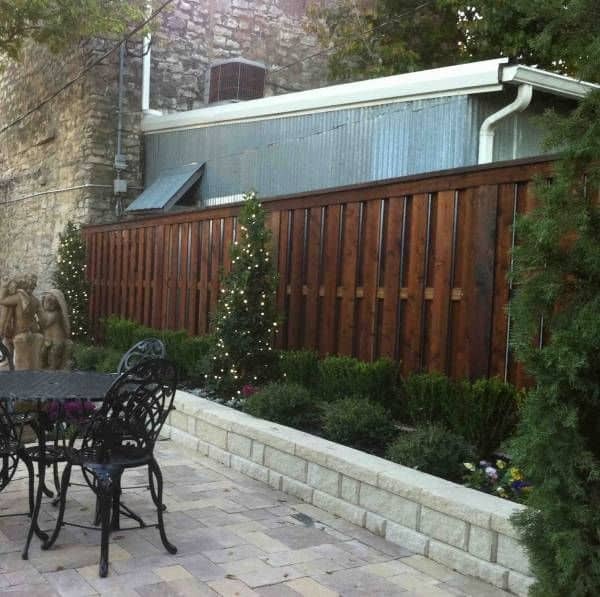 A shadowbox fence is one of the most common styles for residential areas. However, it’s a common classic for a very good reason! These wooden fences have a strong yet artful style that remains subtle but noticeable. With numerous color schemes, wood styles, and specifications to choose from, Rustic Fence is happy to give you the best fence in all of Arlington, TX! Shadowbox fences are similar to privacy wood fences except for a small amount of speech between each board. The wooden boards slightly overlap to create an interesting composition while also increasing the airflow into your backyard. This can help to create a more pleasant atmosphere on a Summer’s day while still retaining your privacy and security. Depending on your desires, we can increase or decrease the overlap which will change the ventilation/privacy dynamic. While more overlap will still give you considerable privacy, we can also eliminate any spaces to make it a fully private fence while still retaining the shadowbox style.